Throughout the Studio Tour, our helpful and friendly staff will be on hand to assist you, ensuring that you have the best possible experience. The Studio Tour is currently working on updating our Additional Needs Information to include our new entrance and Gringotts Wizarding Bank. If you have any concerns regarding this, please contact our Visitor Services Team on 0345 084 0900. If you have any questions regarding proof of entitlement please raise this with a member of our Visitor Services Team before your visit. To assist visitors with a visual impairment, we can provide an Audio Descriptive Tour at no extra cost. A member of staff will accompany your party during your visit to provide some additional information about the sets, costumes and props on display. These are available subject to staff availability, and must be booked at least 14 days in advance. Please note, we can accommodate a maximum of 8 people per tour and you may be asked to join with other visitors if there is limited availability. To organise this for your visit, please contact our Visitor Services Team on 0345 084 0900. We welcome all fully trained assistance dogs into the Studio Tour. Due to the nature of the Studio Tour, we are unable to accommodate assistance dogs in training. 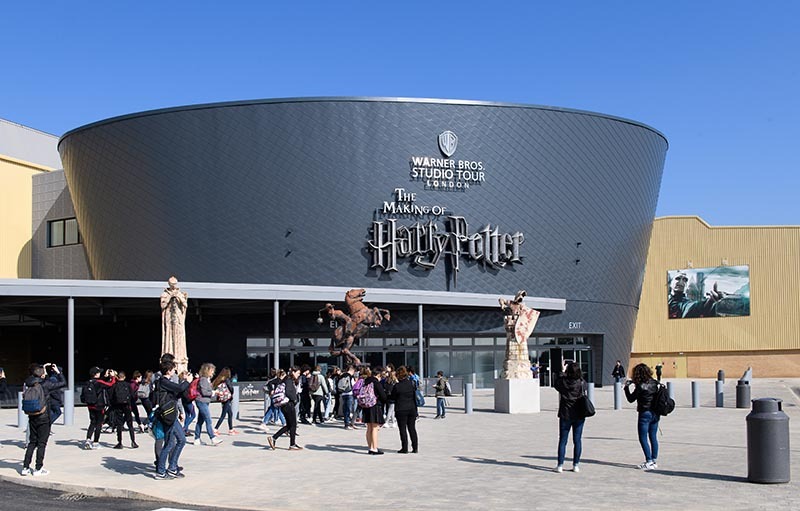 While manual and electric wheelchairs are welcome inside the Studio Tour, we do require advance notice if you are visiting as part of a large group due to seating restrictions within our cinema at the beginning of your visit. Due to the layout of the attraction, this also means that only a certain number of wheelchair users can enter the latter part of the tour at any given time. Our Visitor Services Team are happy to discuss this and other accessibility concerns with you prior to booking, so please do make them aware of your specific needs. The majority of the Studio Tour is suitable for wheelchairs but some areas can be difficult to navigate, this includes Diagon Alley’s cobbled street and the Great Hall's slate floor. The Hogwarts bridge can only be accessed via a short staircase and alternative access cannot be provided because the bridge, as an original set piece, has an uneven surface which is unsuitable for wheelchair users. The Knight Bus also has a short boarding platform which cannot be accessed by wheelchairs. 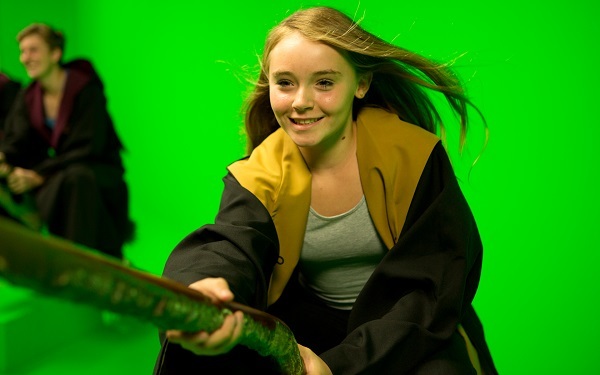 Our green screen area provides visitors with two fully accessible photo opportunities, including the chance to fly a broomstick as members of the cast would have done during filming. Visitors must be able to transfer themselves on to a broomstick and seatbelts can be provided if required. For health and safety reasons, we cannot allow mobility vehicles or electric scooters wider than 86cm to enter the attraction. We have a number of free manual wheelchairs available to borrow for those who need to arrive using a large mobility vehicle or electric scooter. Our handheld Digital Guides provide extra content for the Studio Tour rather than acting as an audio descriptive guide for those who are blind or visually impaired. Personal induction loops can be provided and are available on arrival in our lobby. They require hearing aids to be moved to the ‘T’ position and can be reserved in advance from our Visitor Services Team. Our handheld audio-visual guides bring the Studio Tour to life with fascinating filmmaking facts, exclusive behind-the-scenes footage and cast and crew interviews. Narrated in English, they are also available in German, French, Italian, Spanish, Japanese, Mandarin, Brazilian Portuguese and Russian. Some of the content on our Digital Guides can also be subtitled. For more details, please speak to a member of staff at the collection point at the beginning of your tour. Please note, subtitles are not present on media throughout the attraction. However, we can provide a portable iPad which contains a subtitled version of the cinema film for those who are hard of hearing. These are subject to availability and must be booked in advance by calling our Visitor Services Team on 0345 084 0900. This device must be returned to a member of staff when you enter the guided part of your tour in the Great Hall. Induction loops are fitted throughout the tour and are compatible with most hearing aids provided with the “T-coil” (T switch) function. Personal induction loops can also be provided for our Digital Guides. 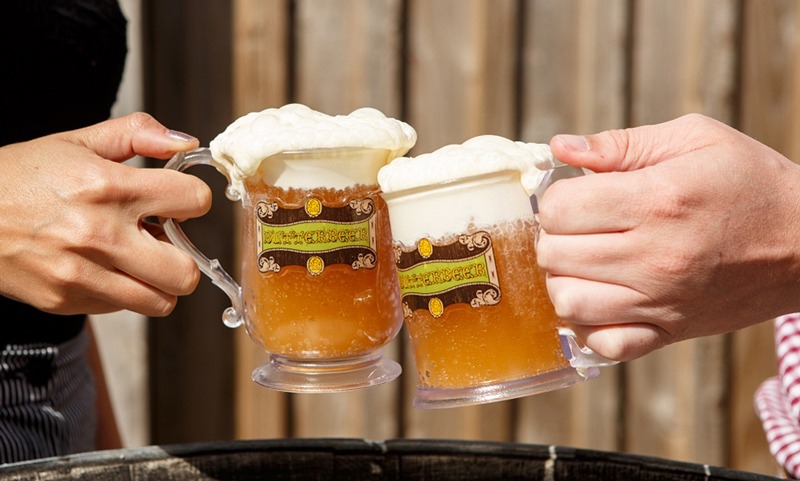 These are available when you collect your Digital Guide from the lobby area of the Studio Tour. Ear defenders are available to borrow for visitors who are sensitive to loud noises for the duration of the cinema. Please ask a member of staff when you arrive. If you have any questions regarding induction loops or the use of hearing aids within the Studio Tour please contact a member of our team here or by phone on 0345 084 0900. Please ensure that you bring your disabled parking badge on the day of your visit and display it in your window. For more information or for specific enquiries, speak to a member of our Car Parking Team on arrival. In order to collect your free carer ticket on arrival, you will need to present proof of eligibility in either a letter or notice form regarding entitlement for Personal Independence Payment. We will also accept a letter from your doctor, blue parking badges or Freedom Passes. In addition to the accessible toilets located throughout the Studio Tour, visitors can also use our Changing Place facility. This fully accessible space provides a hoist, height adjustable changing bench, toilet and washbasin. The room is large enough to accommodate a wheelchair user and two carers. Please note, we kindly request that visitors bring their own slings to use with the hoist, as these are not provided.